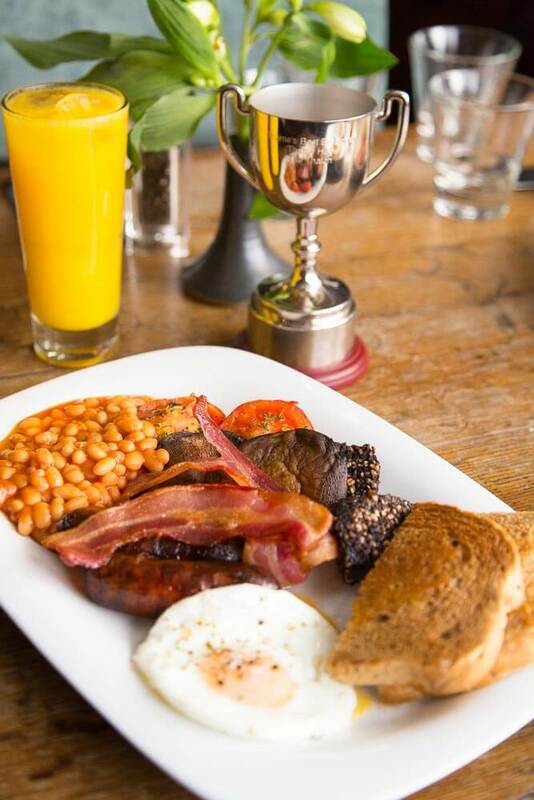 Over the last few weeks, the Thame Hub website have been running a competition to find the best ‘Big Breakfast’ in Thame. When the winner was decided upon, I was asked to create a documentary portrait of the winners. So, here it is… the story of a photographic documentary portrait of The Thatch, Thame. The Thatch resides in a beautiful old building in the high street in Thame, Oxfordshire. The low ceilings and aged wooden beams add a real character to the building and certainly made my job taking a documentary portrait a little bit of a challenge. The brief given for the image you see above was to tell a story in one portrait. To be included were some of the chefs responsible for the awesome food, the food itself and of course the winning trophy. As the shoot had been scheduled towards the end of the breakfast service, I didn’t have a lot of time in which to get the image. I love the pressure of this sort of situation and it certainly provides a unique challenge while encouraging me to think on my feet. As soon as I saw the table by the window location, I knew that it would be where I was going to take the image. The grey murky morning outside was providing a nice soft (but dull) light in through the window, however, a quick test confirmed my suspicions that this would not provide enough light on my subjects, causing the side of the face away from the window to sit in deep shadow, which would be deeply unflattering. A speedlight sat on a worktop just to the left of image and bounced from the wall brought enough light into the scene to give the soft flattering light you see in the finished image above. Once I had the lighting sorted, it was then a simple matter of dressing the table to look visually interesting, show off the beauty and character of the premises as well as not detract from the chefs or the food, which were the key elements of the image. The moving around of a few elements on the table as well as a slight change in camera angle from standing head height to lower down helped create the image I had previously envisaged in my minds eye. 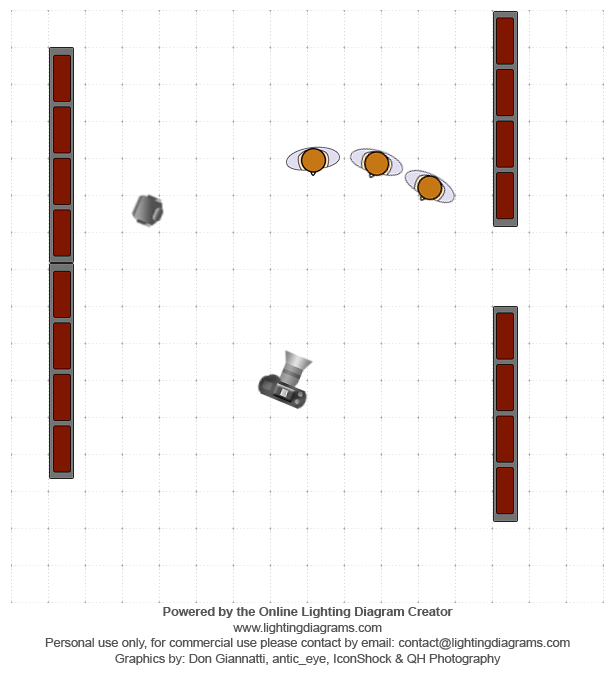 The lighting diagram below shows camera angle and position of the speedlight. After creating the initial intended briefed portrait of The Thatch, Thame, and the chefs had gone back to their service, I chose to shoot a second image highlighting in a little more detail the awesome food that won The Thatch, their coveted trophy. Again this image would have been a little bit dark without the use of a speedlight. Moving the speedlight closer into the subject and bouncing it off of the low ceiling created a beautiful soft light across the whole image. As per the first image I knew that I wanted to highlight the food and the trophy whilst creating a little interest towards the top edge of the image. Another change in camera angle to almost overhead whilst making sure not to cast a shadow over the plate of food… and the image was in the bag. All in all, creating a portrait of The Thatch, Thame, was an awesome little project to work on, on a misty Saturday morning in late October. 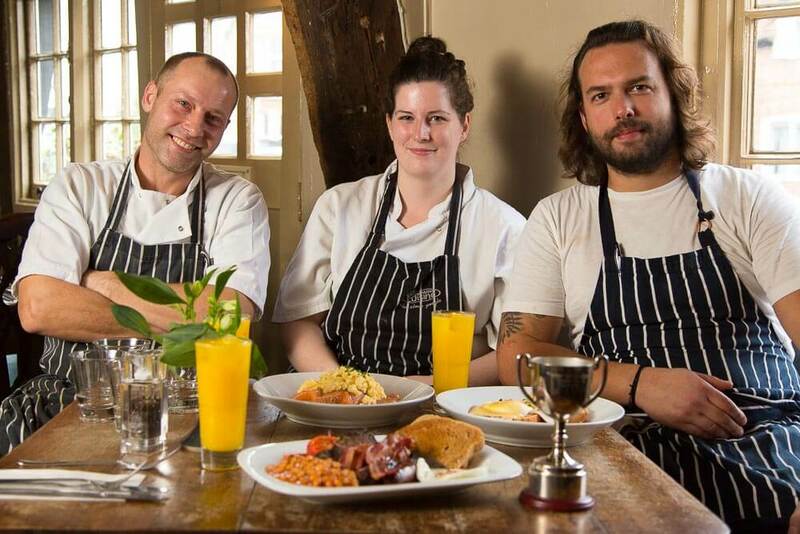 Make sure you check out why The Thatch won the well deserved title of Thame’s Best Breakfast over on the Thame Hub website. As a blogger I welcome your comments. Please leave any comments or questions below and I will do my best to respond to you.